The Washtenaw Health Initiative is delighted to announce new Steering Committee members. As many of you know, the WHI has two types of members: organizational members, who are high-level leaders at organizations critical to the WHI mission, and community members, who come from all walks of life and serve one or more three-year terms. We had two community member openings, and for the first time, we turned to our stakeholders to request nominations. We received ten nominations, and weighed each of them carefully. 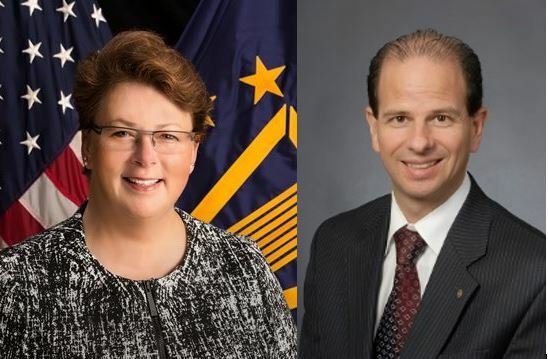 The WHI Executive Committee, which serves as the nominating committee, recommended the appointment of Dr. Scott Menzel, superintendent for the Washtenaw Intermediate School District, and Sharon Moore, a retired local UAW leader who worked at the Rawsonville plant. As turnover happens within organizational members, we replace those appointees, as well. Dr. Ginny Creasman, the new director of the VA Ann Arbor Healthcare System, joined us this summer in that capacity. DR. GINNY CREASMAN is the new director of the VA Ann Arbor Healthcare System and was previously the director of the Aleda E. Lutz VA Medical Center in Saginaw. She has been with Veterans Affairs since 1992, serving in leadership roles around the country and, in Michigan, managing VA facilities across the state. At the Ann Arbor VA, she oversees the delivery of health care to more than 69,000 veterans and manages a $500 million budget. Creasman is a fellow of the American College of Healthcare Executives and a recipient of the Federal Service Excellence Supervisory Award and the VA Secretary’s Hero Award for her service to veterans following Hurricane Katrina. She holds a doctorate in pharmacy from the University of Kentucky and is board-certified. DR. SCOTT MENZEL has served as superintendent of the Washtenaw Intermediate School District since 2011. Prior to that, he served as superintendent of the Livingston Educational Service Agency (2007-11), as superintendent of Whitmore Lake Public Schools (2002-07), as director of career development at the Hillsdale County Intermediate School District (2000-02), and as executive director of South Central Michigan Works! (1996-02). He is editor of Perspectives: A Journal of Research and Practice about Educational Service Agencies (2016-present), and a recipient of the United Way of Washtenaw County “Live United” award (2018). He is a member of the Washtenaw County Community Mental Health Advisory Board, the Washtenaw County Diversion Council, the Early Childhood Investment Corporation Executive Committee, the Michigan College Access Network Board, and the Michigan School Finance Research Project Steering and Technical Committee. SHARON MOORE is currently a patient representative on the board of Packard Health, and retired from the Ford Rawsonville plant in 2005. During a 38-year career there, she worked on the assembly line, worked as a health and safety trainer, served as a district committeeperson, served as a bargaining representative, served as an internal quality auditor, served as a critical incident response trainer, and was appointed an employee resource coordinator. Throughout this time, she was an active member of UAW Local 898 and chaired the Election Committee and Community Services Committee for several years. She also served on the board of SOS Community Services, with one term as president, and continues to assist SOS today. She is an active member of the Ypsilanti Church of Christ, where she teaches a bible class and helps to run a church food distribution program in conjunction with Food Gatherers.